For people who go skiing or join in any competitions in the snow, climate change clearly affect their performances. There are more clues that climate change is noticeable and prevent ski racing to take place in a favorable way. There are so many disadvantages to be reported causing by climate change toward this World Cup ski racing circuit. Glaciers are shrinking, snow cover is inadequate, storms happen quite suddenly and many other likewise problems. 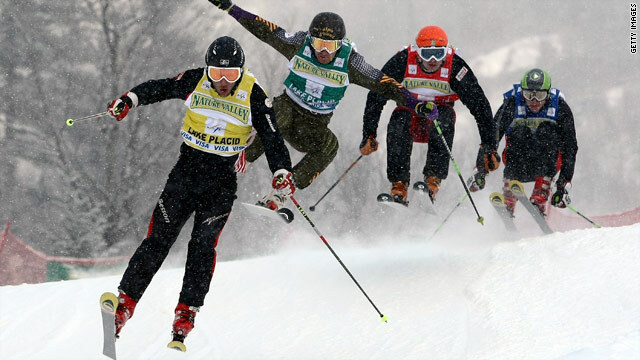 Skiing racers need to find their own ways to well-adapt to these disadvantages. Federica Brignone, an Italian skiing racer who has won a bronze medal, said that skiing is strongly affected by climate change. She has to pack a big suitcase for clothing and other stuff as preparation before this Olympic competitions. The fluctuating weather weakens the health of competitors if they are not well-prepared. According to the UN Intergovernmental Panel on Climate Change, the global temperature is increasing quickly. It is expected that compared to the nineteenth century when there were the industrial revolutions, the planet will be 1.5 degrees Celcius warmer by 2030. If the globe continues to warm up, there will be no winter sports to maintain their good conditions for all participants. However, according to CNN’s meteorologist Brandon Miller, climate change can also prolong the time with cold weather and snowfall. Glaciers are melting at a quick speed, even on the tallest peak in the Alps. Climate change not only affects sports like skiing but also shows its impact on the whole planet. However, not many people are aware of the situation and try to find positive solutions for it. Confront the increasingly serious problem, now we need to find out good solutions to depend less on natural snow. For example, many places for winter sports have been making snow in the seasons. In numerous mega-resorts in Europe, people have got used to man-made snow to serve tourists. In addition, there are also lots of ski racers love to compete on artificial snow.